2. 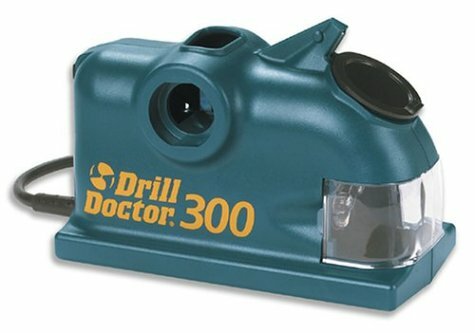 Drill Doctor DD500PK 3/32" - 1/2"
10. Drill Doctor DD500PK 3/32" - 1/2"
There are many good things about this product. When I called tech support with a problem (chuck sticking), I got a human being with a knowledgable answer (loosen a few overtorqued screws) in a matter of minutes. On standard drill bits, it works very well. However, I got it mostly to sharpen hex-base drill bits, as I use these drill bits with a quick-change chuck all the time. And I basically destroyed several bits (well, they were dull anyway) finding out that the chuck supplied with this unit simply can't get a proper grip on hex-base drill bits. They will be out of alignment, which means it won't work, at all. You just grind off random bits of your drill bit at random angles, resulting in a useless bit. Well, I _was_ able to sharpen a few of the bigger hex bits, but the 1/16", 1/8", and 3/16" bits were trashed. So for my main use--sharpening hex-base bits--this fails pretty badly. If I'd known this, I wouldn't have gotten it. (Of course none of the marketing information or tech support information mentions this--if they did, they might lose some sales.) So I'll keep it, but quite disappointed. And no, tech support didn't have any suggestions for how to fix the problem. So, if you want to sharpen small hex bits, give this a pass. If you don't use hex bits, it is a good deal. And the video they supply is excellent for teaching you how to use it. Over the years I have collected hundreds of drill bits that served me well when new. But with each project I found myself looking for a sharp bit to complete the task. I needed a repeatable way to sharpen my drill bits. 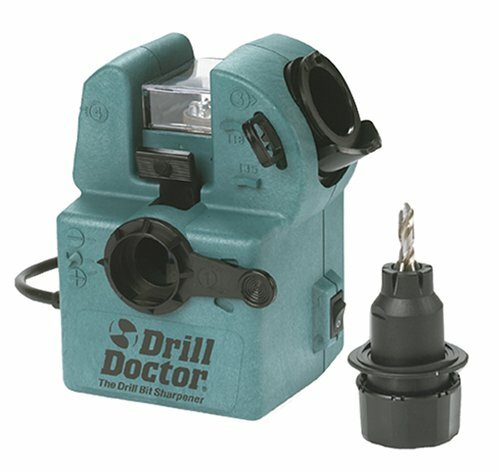 After extensive research and product reviews I purchased the Drill Doctor 750. It did EVERYTHING it promised. It sharpened both small and large bits, it removed all nicks and restored the cuting edge perfectly. The actual process is simple and quick. The video gives good instructions, but practice makes perfect, and I actually enjoyed sharpening all my old bits. I highly recommend the Drill Doctor. It delivers on its promise every time. Glad I FINALLY bought one! With the price of drill bits rising every day this baby will pay for itself quickly. Sharpens bit as good as or better than new. If you think you doing a good job sharpening bits on a bench grinder, you'll be suprised. Don't know how the hail I ever got along without one of these. Will never have to use a dull bit again. An absolute NECESSITY for anyone working with steel. I would suggest getting an extra wheel upon purchase because once you sharpen about 250 of your dead/dull bits after it arrives, you'll most likely need a new wheel. I just received my Drill Doctor 750SPK and was surprised to find that it came with a carrying case which was listed by Amazon.com as an accessory. The first time I used the Drill Doctor it performed perfectly and I was inclined to sharpen even drills that I had previously considered sharp. For normal drill sharpening, I would rate it as 5-star. The only problem I had was with split tips. The drill holder does not slide smoothly in and out of the guide. It requires unnecessay force as far as I am concerned, however with extra effort I can sharpen split tips adequately. I will keep the unit since most of my sharpening is for standard tips. When and if I want to do many split tips, I will bore the guide out a little and and install a "pop-out" spring to move the tip back off the grinding wheel. Incidently, one reviewer said that he received screwdriver tips instead of drills with his unit. I did not find that to be the case. I received the drills. This is product is everything good all have said about it. Order fulfill by Amazon - excellent! Unit well packed, handy carry case is superb. Set up and use - I watched the video 1 & 1 1/2 times. Getting the drill set up properly is the whole equation - and is easy. I have sharpened both angle configurations, and split a few points just to see how easy it is to do. SNAP! I used to throw out bits when they were dull. Never again! This tool is really simple to set up and use. I hate to think about the time I've wasted using dull bits. It takes just seconds to touch up a bit. My friends now ask me to sharpen their bits. I wish I had had a Drill Doctor ten years ago. I don't know how many broken or dull bits I have sitting around because up to now it has been one big pain in neck to resharpen them. I usually wind up buying a whole pack (10) of the most popular sizes I use and set them aside after they get dull. I have several different drill sharpeners; you know the type one would use with a grinder. Problem is they have never worked well for me, it seems like it's always hit or miss and most of the time "miss seems to prevail" and setting the jig up for sharpening the bits was always a chore. So it was with some trepidation I bought the Drill Doctor" especially because it was a lot more than I had ever paid for any other sharpener. But this is truly a case of "you get what you pay for...sometimes). But after reading the reviews I bit the bullet and ordered one. Gotta tell ya...I am now one happy camper when it comes to sharpening my old dull bits. It works just like the provided video shows, not just once but each and every time! Anyone who can't sharpen a bit properly with the Drill Doctor probably shouldn't be handling a power tool in the first place. I mean it is virtually moron proof. Loosely calculating the number of useless drill bits I have accumulated over the years I figure this tool will more than pay for itself. Looking for the right tool to sharpen your drill bits?...Buy the Drill Doctor, I promise you will never look back. Oh by the way, a little background on me. I am a retired General Contractor and an active hobbyist. I own 6 cordless drills, 3 corded drills, and 2 drill presses (what can I say I have a weakness for good tools!) so I guess it would be fair to say I have had some experience working with drills and drill bits. This is a great investment to help save money from buying extra drill bits when all they need is re-sharpened. I wish I had this product when I first started using drill bits. It comes with an instruction book & a VCR tape which helps to learn how to sharpen drill bits in almost no time. Just think of all the extra trips to the store this product will save you from? 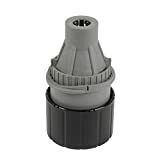 If you happen to break a drill bit, just use this to put on another new tip. This model sharpens either of the 2 major angles for steel bits, plus split points and also mason bits. I have used this product in the past and found it to be very useful. I'm very discouraged in hearing that the new machines will be manufactured in China. I guess this is another example of companies concerned with profit margins and not quality. I will stock up on replacement wheels now to avoid future disappointments. |3/32 to 1/2 -full range of bit size capacity|Diamond wheel -Holds up to the hard material bits -carbide and cobalt|Split point capacity -the bits that will not ""walk"" on a hard surface"
Ordered this from the drill doctor and they sent me to amazon to buy it at a cheaper price. I don't know of another company that would do this for a customer. Now thats what I call a five star rating. I would do business with this company it they only sold horse shoe nails. 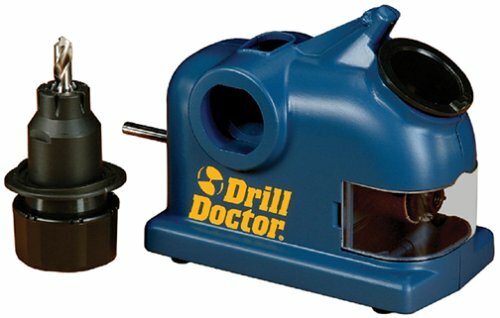 Drill Doctor Saves Me Hundreds of Dollars! I've been burning through drills since my father let me in his workshop @ age ten. Since then I had buckets of used drill bits that were just worn out from high use. My idea was that someday I would find the time to sharpen them. I came across the Darex Drill Doctor Model 750 @ a local farm show. I have been skeptical of these sharpeners before because I have been burned by a PlasPlugs model that said it could sharpen drill bits. 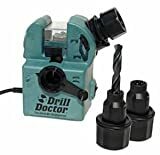 After seeing a demonstration firsthand I purchased the Drill Doctor 750 because I needed to sharpen the larger and more expensive 3/4 inch drills. The return on my investment was made within the first couple of hours using my Drill Doctor. The best thing about it is that I can sharpen 118 & 135 degree bits and put a split-point on them! Their diamond wheel lets me sharpen all kinds of different drill types. Finally a drillbit sharpener that WORKS! I saw the Versa saw on TV a few weeks ago and thought it would be a perfect addition to my 18VOLT XRT DeWalt cordless drill for small jobs around the house. What a disappointment! First, the picture displayed on the Amazon website shows a screw as part of the blade lock. - Mine came with just a clipping mechanism (no screw). It took me half an hour to connect the blade to "EASY MOUNT blade housing". In the saw manual it says: "it will be a tight fit" - it was TIGHT, they are not kidding! Awful, terrible design! Second, when I finally got my blade installed I tried to cut a piece of a cheap ¾ round floor trim ... and I couldn't! Even at the highest rpm's the blade did not move fast enough! The manual suggests that you put the cutting guide foot firmly against the object that you're cutting - I did, it made no difference! The picture in their manual shows an object that looks like a 2X4 - Good luck, there is no way this blade could cut it. TOYSRUS may be able to sell this to children. I decided to return the product. Get this - I couldn't remove blade from "EASY MOUNT housing"! I didn't want to break the thing and sent it back with blade mounted! To top it all off, Amazon charged me a restocking and UPS label printing fee - wonderful! Don't repeat my mistake - go and buy a cheap reciprocating saw, something that will work! While the concept seemed great, after several failed attempts by myself, my husband and son, we were unable to get the blade properly installed in the unit. Once we did get it "almost" in and it was a struggle to get it back out. We're returning the unit. A MUST HAVE NEW TOOL. RECENTLY I PURCHASED THE NEW VERSASAW MADE BY PROFESSIONAL TOOLS OF ASHLAND, OREGON. THIS SAW WAS A PLEASURE TO OWN AND USE. IT IS LIGHTWEIGHT AND SIMPLY CHUCKS IN THE DRILL YOU HAVE, CORDLESS OR ELECTRIC. IT THAN BECOMES A RECIPROSAW, BUT IT SWIVELS A FULL 360 DEGREES MAKING CUTS IN TIGHT PLACES NO OTHER SAW CAN REACH. 11. Professional Drill Doctor Sharpens Bits from 3/32in. to 1/2in. 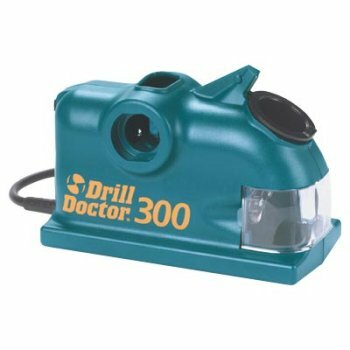 Drill DoctorÂ® is as easy to use as a pencil sharpener! I bought the Drill Doctor 100 travelor, and it has worked real well for me. Since I bought it I've sharpened a dozen worn out bits and already made my money back. The sharpener helped me fix up my garage and saved me alot of money and time. Saves me the problem of buying new bits every few months. Highly reccomended.